Take a tour of one of Europe’s oldest capitals during this full-day excursion. 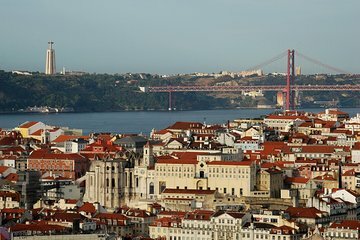 Discover historical landmarks such as Saint George’s Castle, the Lisbon Cathedral, the Alfama neighborhood, Jeronimos Monastery, and much more. Learn about the history from your informative guide and discover cultural aspects such as the famed pastel de nata and their sour cherry liqueur, ginjinha.